As a global leader, Skipper drives​ positive change for all our stakeholders. By making different aspects of our business sustainable, we re-affirm our commitment to conduct our business consciously and responsibly. The first health camp for the people of Zaria in Kaduna State​ was held​ on 2​nd September​ 2015 at the Government Hospital Zaria. A team of ​two​ government​ doctors and four​ nurses conducted th​is camp and gave expert consultation, medicine and handed over medicated​ mosquito nets to more than 300 ​beneficiaries. The camp was visited by the representative of the Emir of Zaria. In addition, local religious leaders and government officials also visited the camp. 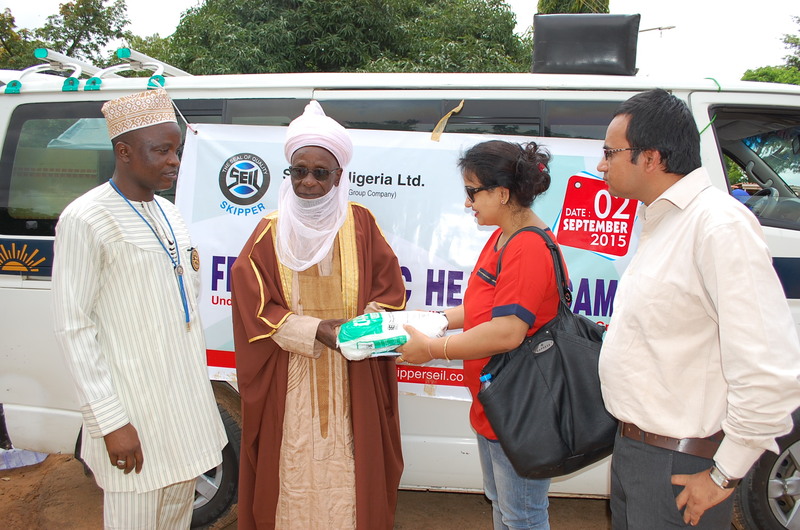 The second health camp was conducted in​ Tiga Village​ (​Kano)​on 5th​ September 2015, at the Government Hospital Tiga​. As in Zaria, a team of four​ government doctors and ​eight nurses conducted the Camp. The no​. 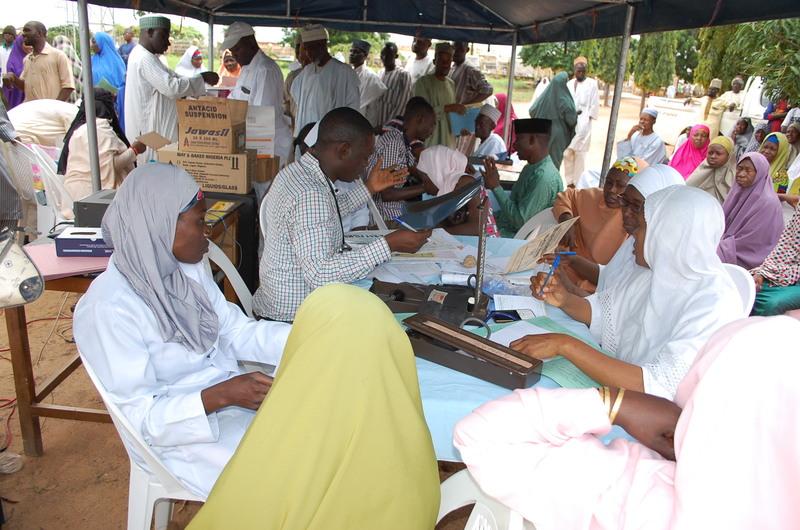 of beneficiaries in the Tiga Health Camp was more than 700. ​The Dignitaries visiting the Camp included, His Excellency ​Governor of Kano State, Secretary to State Government, ​Health Commissioner, DG – Media & Communication, Director – Medical Services and ​many senior government official and religious leaders. We are proud to have been recognized by the Kano State Governor as the first ​company to have thought for the local communities of Kano and ​taken up​ community development initiatives in the state. We heartily thank the local chapters of Rotary international in Kaduna and Kano for supporting us with event planning and Skipper volunteers who made the event successful. Over the last 16 years, Skipper has emerged as a powerhouse in the energy and infrastructure sectors in Nigeria and West Africa at large. As one of the earliest investors in Nigeria’s Power Sector, Skipper has shown continued resilience and commitment to helping Nigeria close the critical infrastructure gap and achieve its developmental goals faster. As a participant at the recently held India Show, organized by the Confederation of Indian Industry (CII) at Lagos, Nigeria on 25-27 August 2015, Skipper showcased its latest product range as well as its latest projects in various Nigerian states. 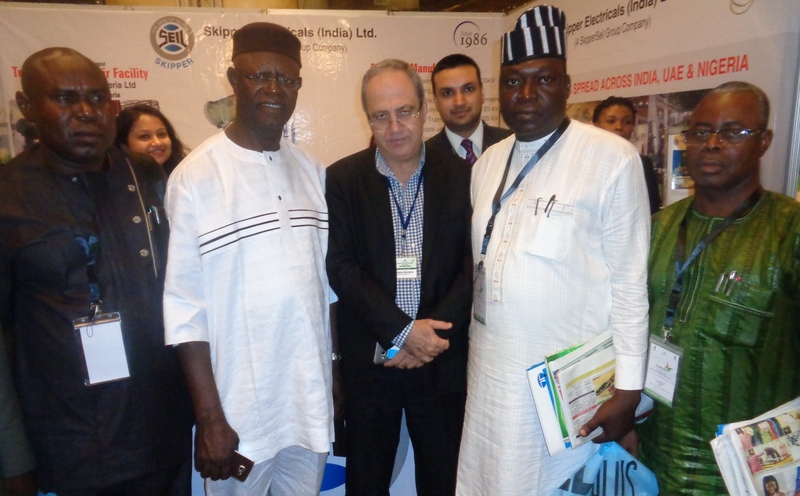 Skipper was honored to have many dignitaries visit its stand and discuss infrastructure projects in Power, Education, Healthcare and Agriculture, including the Governor of Ebonyi State, His Excellency, Engr Dave Umahi, Deputy Governor of Lagos State, Her Excellency, Dr (Mrs) Idiat Oluranti Adebul, and, Deputy Governor of Benue State, His Excellency, Engr. Benson Abounu. Mr. Jitender Sachdeva, speaking the seminar entitled “Nigeria and India: Leveraging on the Economies”, highlighted the increasing importance of the India-Nigeria trade relationship in bringing manufacturing excellence to Nigeria in the wake of declining oil prices globally. He also listed lack of maintenance and servicing as the bane of Nigeria’s power sector with a great number of power facilities lying idle. He noted that Skipper recognized this issue in Nigeria as an early-mover several years ago, when it established West Africa’s largest transformer repair and service facility in Ikorodu in Lagos, Nigeria. The state-of-the-art factory today services power equipment for Nigerian utilities as well as others from all over the African continent. He mentioned that the best solution for curbing immediate power crises in Nigeria involves bringing back such power equipment into smooth operations and Skipper is in a great position to help the country achieve the same. 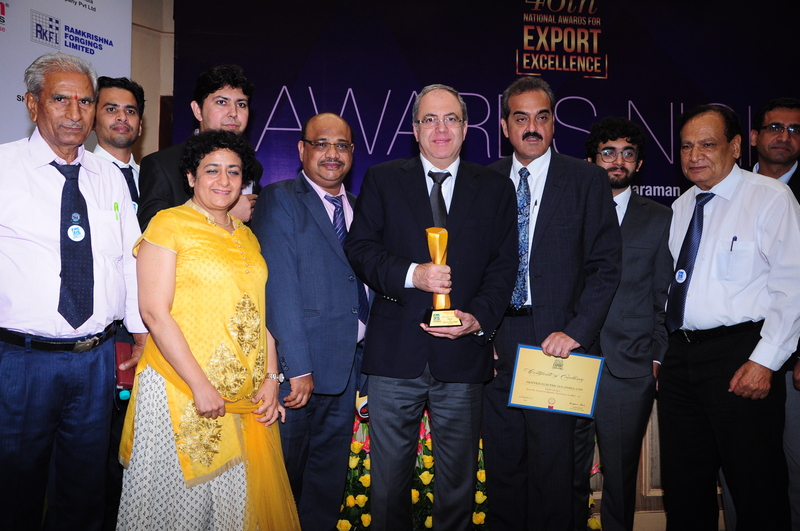 Recognizing Skipper’s formidable brand value for the Indian engineering industry, Engineering Export Promotion Council (EEPC) awarded Skipper at its diamond jubilee celebrations for its commitment to quality excellence and placing stress on Skill Development. His Excellency, President of India, Sh. Pranab Mukherjee inaugurated the celebrations at Vigyan Bhavan in New Delhi on 3rd September, 2015, in the presence of Shri Ravi Shankar Prasad (Minister of Communication and IT) as well as a gathering of leading industrialists and senior government officials. Smt. Nirmala Sitharaman, Hon. Minister of State for commerce & Industry, presented the ​Quality Excellence National ​award to Mr. Jitender Sachdeva, Group President and Mr. Rakesh Sardana ​(Director). Speaking on the occasion, the Group President stressed on Skipper’s exponential growth over the years and maintaining a stringent focus on product quality and engineering excellence.